On October 8th, the garden release of 2012 year is over. Thank you for your visiting to our many customers this year. I'm really thankful to you!! 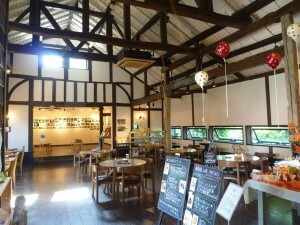 NAYA cafè will continue to operate all year.Cafe benefitFor customers onlyIf you wish, you can also walk in the garden where autumn work after closing will continue. Customers who wish to visitVoice to Cafa staff beforehandPlease put on. 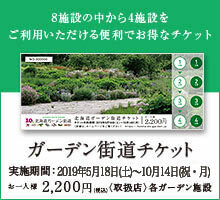 The garden opening of 2013 year is planned from the end of April. We will inform you on the homepage, facebook etc. as soon as a definite schedule is decided. We will be waiting for a lot of visitors next year.